Welcome to the Maynard Lodge of Elks, #1568 of The Benevolent and Protective Order of the Elks of the United States of America. The Benevolent and Protective Order of the Elks (BPOE) was founded on the cardinal principles of charity, justice, brotherly love and fidelity. The Maynard Elks Lodge has much to offer our great community both locally and nationally. This is a place where our neighbors come together, families share meals, take part in events, help others, socialize and where children grow up. What does it take to become a member of the amazing organization? You must be sponsored by a member in good-standing; you must be a citizen of the United States, express your belief in God and be willing to salute the flag of the United States of America. 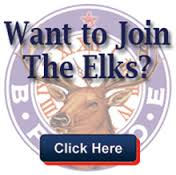 If you're interested in joining the Maynard Elks, please inquire HERE . Do you have an up and coming event and are interested in renting our hall? Please contact us for more information HERE . Meets on the 2nd & 4th Tuesdays of each month except in July, August, and December with 1 meeting on the 2nd Tuesday.